Do you like street music or you consider it a nuisance? 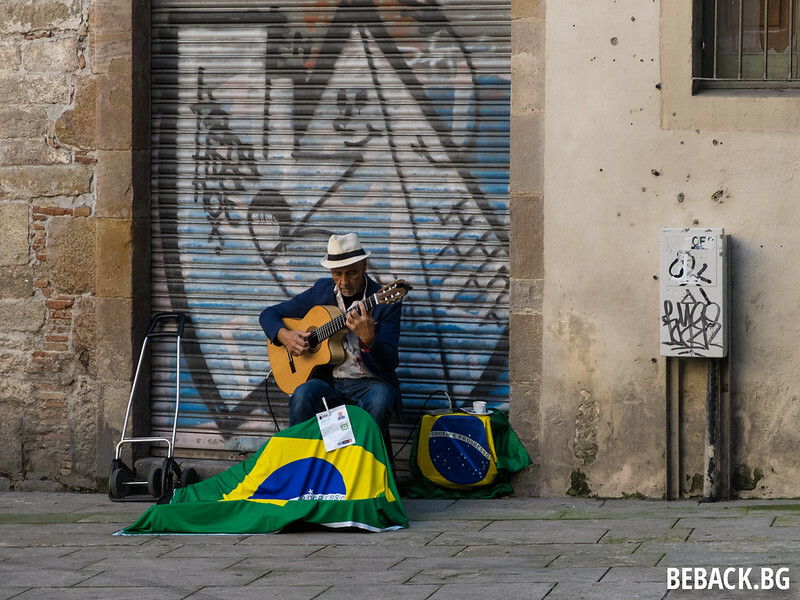 I just loved the street music of Barcelona. Busking is apparently regulated in there. There’s even an Associación de Músicos de la Calle (AMUC)! 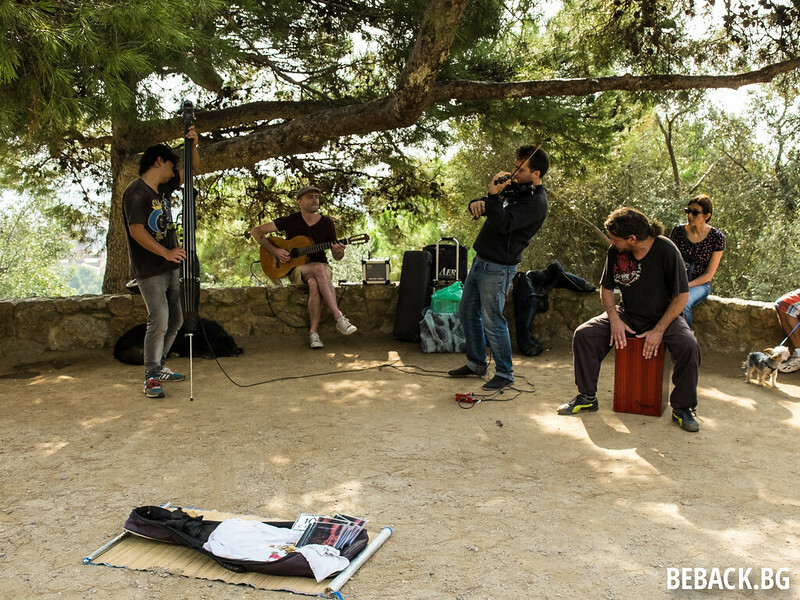 It seems there used to be a Busker’s Festival Barcelona with the latest edition back in 2012. This guy was located next the Cathedral and was playing covers of famous radio hits with his own unique arrangement. 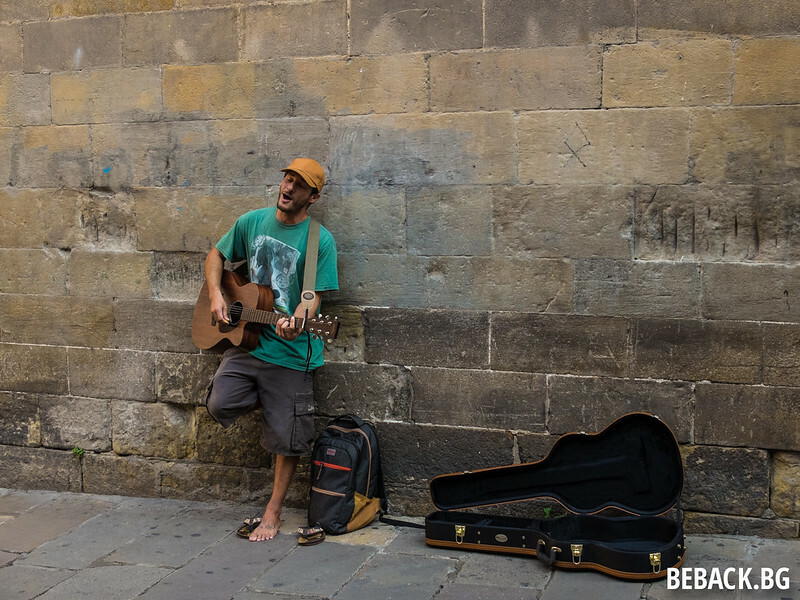 His music definitely made the huge crowds at the Barri Gòtic more bearable. There were all kinds of musicians and instruments with the ‘Spanish guitar’ actually being the exception. 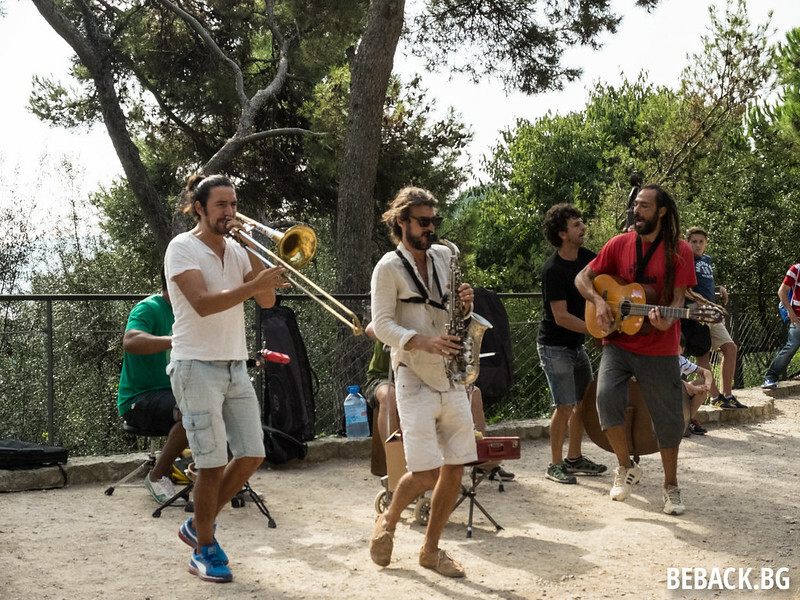 These two bands were based in Park Güell Barcelona where people would sit and rest after climbing some dozens of stairs or hiking around the great surroundings. Probably my favourite photo below. This guy was not only quite stylish and colourful but also produced beautiful sounds. I think the two cafes next to him should have payed him because he was entertaining their customers. We also visited some ‘official’ music performances. 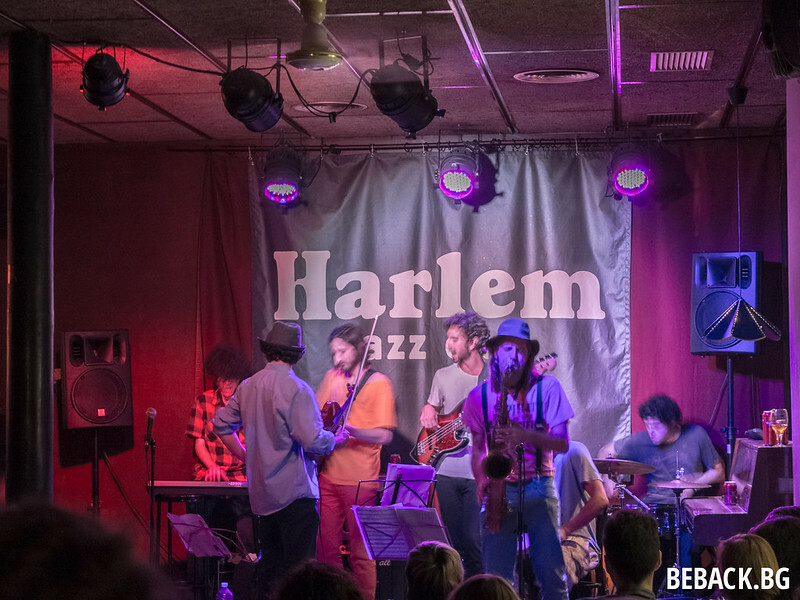 However, first of all jazz scene does not seem to be big in Barcelona. Secondly, some of the street artists were light years ahead of these guys on the stage (no offence!). Maybe not everyone is happy with street music. 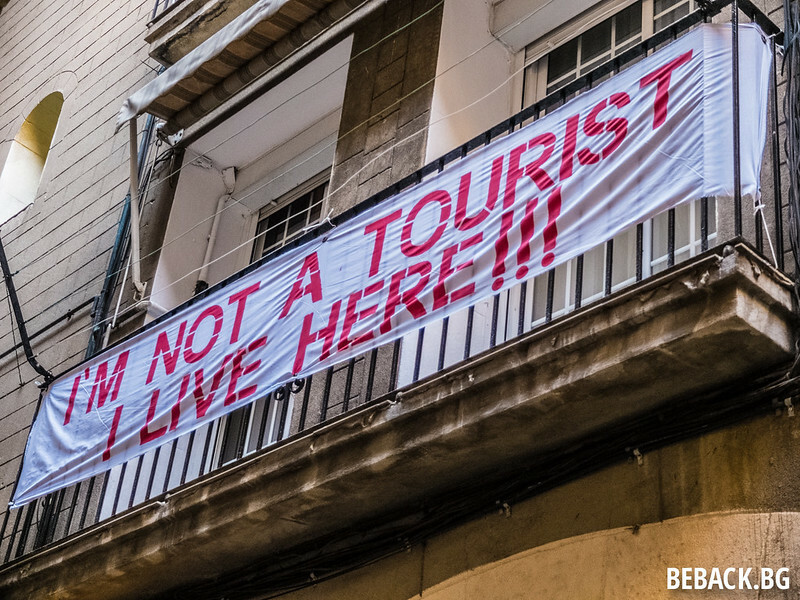 Or tourists per se.